Police arrested Anthony Anamasi, 71, in the shooting of Leroy Brown, 23. 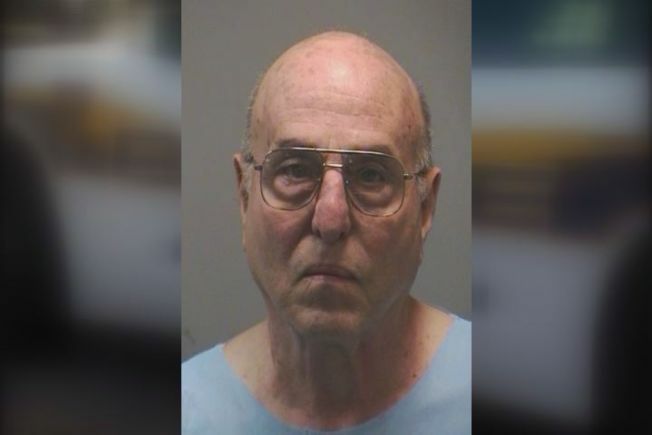 A 71-year-old man from New Haven, Connecticut, was arrested Sunday night after shooting a neighbor in his apartment building that morning, police said. Anthony Anamasi, a retired mechanic, was taken into police custody on Sunday after calling 911 to report that he shot a 23-year-old neighbor who allegedly attacked him with a knife, then went back to his apartment to wait for police. New Haven police responded to his apartment building at 25 Donna Drive around 7:50 a.m. Sunday to find 23-year-old Leroy Brown lying in a hallway of the apartment complex. Police said Brown had been shot in the side of the head. An ambulance rushed him to the emergency department at Yale-New Haven Hospital to be treated for critical injuries, police said. A 71-year-old man was arrested after calling 911 to report shooting a 23-year-old neighbor in his apartment building after being attacked with a knife. "The gun is on the kitchen table and it's unloaded," Anamasi told investigators who knocked on the door to his apartment, according to the incident report. A woman holding towels to Brown's bleeding head told police that Anamasi had been making sexual advances toward her. They started to argue, so she went to get Brown and the two men started fighting, according to the case report. She told investigators that she did not see the shooting. When Anamasi called 911, he told dispatchers he was confronting a woman about prostitution and sexual relations she was having in the basement, according to court documents. He said he opened fire after the woman's boyfriend approached and threw a knife at him. Anamasi told investigators that Brown's girlfriend grabbed the knife and ran away with it, according to police. Authorities located a silver knife with a black handle in the apartment where Brown's girlfriend lives, but she denied that it was used for anything other than household purposes and denied taking a knife from the scene, police said. According to the case report, another man approached officers at the apartment and said Anamasi was a good guy who was frustrated about prostitution in the laundry room. "I guess the guy couldn't take it anymore," he told them, according to the case report. Officers seized the gun they suspect Anamasi used to shoot Brown. It's properly registered to Anamasi, who also has a valid Connecticut gun permit, according to police. Anamasi was cooperative with investigators when taken into custody on Sunday, police said. Police charged him with first-degree assault that evening. He appeared in court on Monday, where bond was set at $250,000. Anamasi left the courthouse without an attorney and did not comment on the case. He's due back in court Aug. 25. Brown remains in critical condition. Neighbors said tension has been mounting between Brown and Anamasi for more than a year, and that Anamasi has called police for help in the past.